Storytelling as a True Healing Art! I come from a long line of secret keepers and fibbers. There is a haze that envelops this clan, a need to ignore what is obvious, bury what is uncomfortable, lock away what is painful and hide the key. And then there is me. I can tell a tall tale but it’s always with a wink; secrets have a way of tripping off my tongue; I don’t like sand in my ears. What’s a truth seeker like me to do when my questions are met with a turn of the back or a stern look meant to silence? This dynamic was a life-long battle until I came across one of Nancy Mellon’s therapeutic storytelling courses and her books about storytelling as a healing art. Great truth, I soon discovered, comes from within, and my own internal organs had true stories to reveal to me. The kidneys, the quiet sages of the body, taught me to listen deeply and allow the knowledge to radiate from within. The lungs showed me the difference between using my voice to lead rather than command, to inspire not bully. The bladder, a showy artist that can dazzle and shine, loves the spotlight but risks burning itself out in a blaze of stagey creativity. Each organ’s character and its shadow side fascinated me. It was like putting together pieces of a puzzle and finally figuring out the living image of my own true self. At the end of our nine-weekend course, Nancy asked us to do a final presentation about our own lives using the tools we had learned. I chose to explore my heart. Why was there a heart defect passed down from generation to generation on my mother’s side of the family? Who had been the originator of this broken heart and how could it be healed? I took what truths I knew about my family history and asked my heart to fill in the blanks. 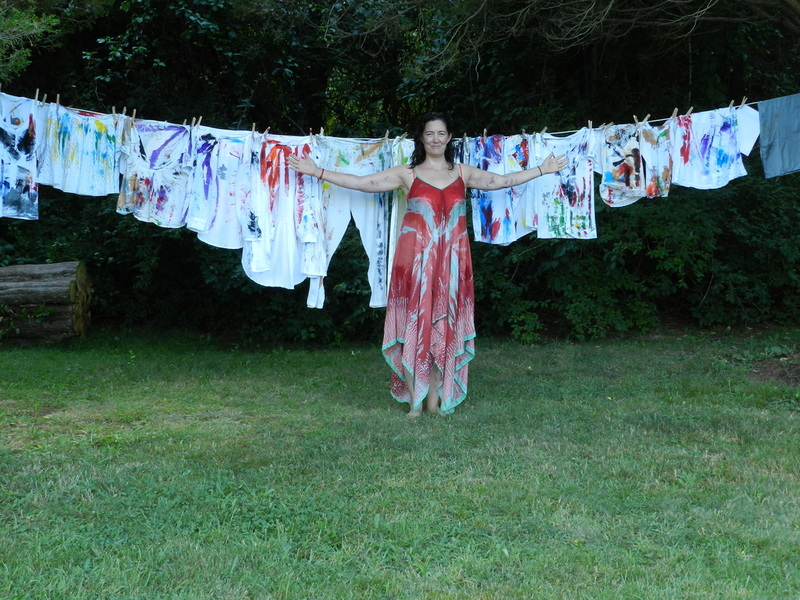 Standing before a clothesline pinned with garments, I told my story. Each shirt, camisole, skirt or pair of pants represented a persona I had taken on in an attempt to be accepted by my family. As I recounted each particular era of my life, I put the garment on. The end result was a bloated, confused, angry, formless person who didn’t know who she was. 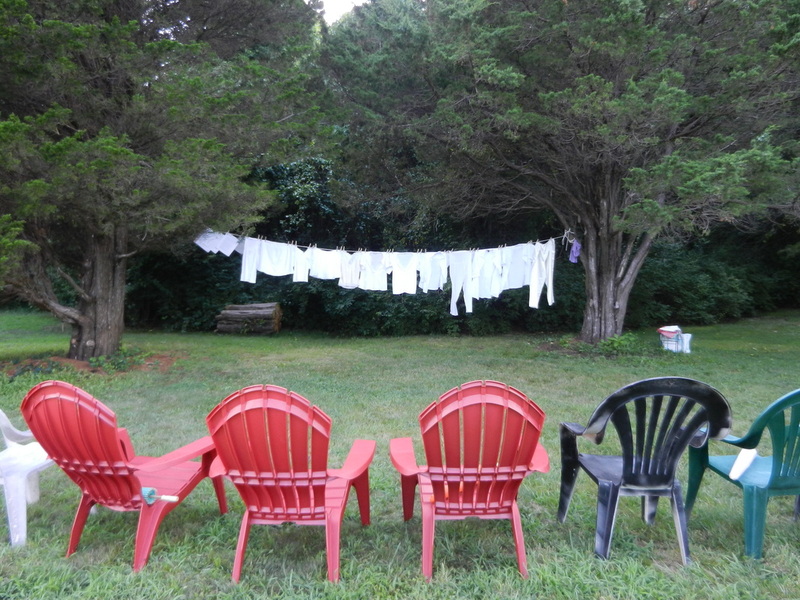 Each piece of clothing was then removed and re-pinned to the clothesline as I cast off each false persona. Standing in a thin slip before my history, I raised my arms and accepted this dark, messy, sad, broken tale. (photos follow)This purification of the old image of myself gave me wings, allowing me to soar as my authentic self, free for the first time to be me. In the end, the person who was the most transformed was myself. Two years later I fell in love, really truly in love, with a wonderful man. And on a recent trip to the cardiologist, my doctor told me that my heart murmur had disappeared. Read The Power of Self-Healing and you'll agree with celebrated wellness expert and author Dr. Fabrizio Mancini, D.C.: "the power that made the body, heals the body."